“For I am not ashamed of the gospel …. For in it the righteousness of God is revealed from faith for faith, as it is written, ‘The righteous shall live by faith’” (Rom. 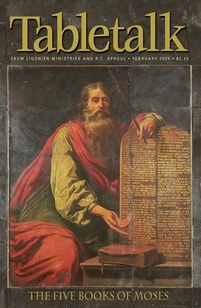 1:16–17). Having examined the aspects of genuine faith we will again today discuss some of the differences between the Roman Catholic understanding of justification and the biblical, Protestant understanding of this important doctrine. Because of all the recent controversy surrounding each view, it will be helpful to make sure we thoroughly understand these differences. Theologians have often said that Roman Catholics believe in analytic justification. We can observe this analysis by looking at an easily identifiable analytic statement, for example: “A bachelor is an unmarried man.” In this sentence, we learn nothing new about the subject (the bachelor) in the predicate (the unmarried man). The statement is true in a rational, logical sense. That is to say, it is true by definition. All bachelors are unmarried men. Singleness is inherent to bachelorhood. The Roman Catholic view of justification is known as analytic justification because in order for God to justify a person in the Roman system, that person must be righteous by definition. Righteousness must inhere within the individual. This righteousness may be rooted in the grace of God, but it must become a personal, inherent, and experiential righteousness through the cooperation of good works. In the biblical view, we cannot be justified unless the alien righteousness of Christ is added to us in imputation. Unlike the analytic view of justification, our works do not combine with this righteousness in order to make us intrinsically righteous. Our right standing with God is never based on our own holiness. Because the perfect righteousness of Christ is added to us, or more precisely, declared to be ours, the Protestant view is called “synthetic” justification. Because of the way heretics like to misuse the language of Scripture, theology often uses highly technical terms in order to make sure that doctrine remains faithful to the apostolic writings of the Bible. The use of analytic versus synthetic justification is one example of this. However, the most important question is, has the righteousness of Christ been imputed to you? Have you put your faith in Him alone so that His righteousness can be imputed to you for your justification?